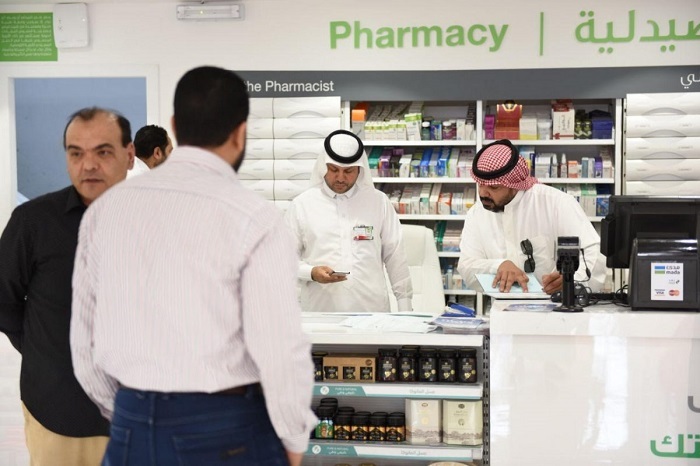 More than 4,000 inspections were made in a major campaign launched by the Ministry of Health to prevent the free sale of antibiotics at pharmacies throughout the Kingdom. According to an official statement from the MOH, a total of 4,433 inspection visits was made by the MOH team and they have detected some 150 violations in various parts of the Kingdom. The ministry has already warned against selling antibiotics without prescriptions and highlighted the importance of abiding by the provisions of the Executive Regulations of Health Practice Law which prohibits pharmacists from dispensing any drug without a prescription issued by a doctor who holds a license to practice in the Kingdom. Through an awareness campaign on its social media pages, MOH stated that violators will face legal actions which include a fine of up to SR 100,000 , abolition of the owner’s license and imprisonment up to six months. The MOH has been organizing several awareness programs among all society members and health practitioners about the importance of careful use of antibiotics. The campaign was carried out in malls, public places, and health facilities. In November, during the World Antibiotic Awareness Week, the Food and Agriculture Organization of the United Nations (FAO), the World Health Organization (WHO) and the World Organization for Animal Health (OIE) called for responsible use of antibiotics in humans and animals to reduce the emergence of antibiotic resistance. According to WHO, antibiotic resistance has been rising to dangerously high levels in all parts of the world and threatening the ability to treat common infectious diseases. Infections affecting people – including pneumonia, tuberculosis, blood poisoning and gonorrhoea – and animals alike are becoming harder, and sometimes impossible, to treat as antibiotics become less effective. Antibiotics are often overprescribed by physicians and veterinarians and over-used by the public and they can be bought for human or animal use without a prescription, the emergence and spread of resistance is made worse. Examples of misuse include taking antibiotics for viral infections like colds and flu, and using them as animal growth promoters on farms or in aquaculture.